HOME Holiday home Just relax! 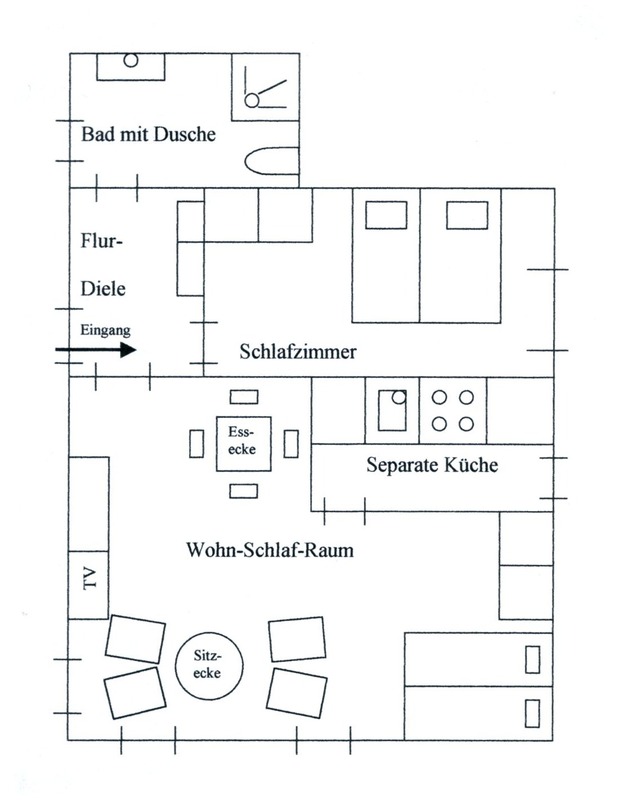 The holiday home ist situated in a quiet edge of Bettenfeld. One object of interest in Bettenfeld is the Windsborn Crater lake - the only of its kind north of the Alps. a hall with a wardrobe. In the living room you will find radio and satellite TV. For our „little guests“ we offer a children’s bed and chair. And parking place are inclusive. The big garden with its nice green places and its pond invites you to relax. You can enjoy your holidays on the terrace or the lawn with garden furniture and a barbecue grill. The “little guests” can play and run for themselves, too. 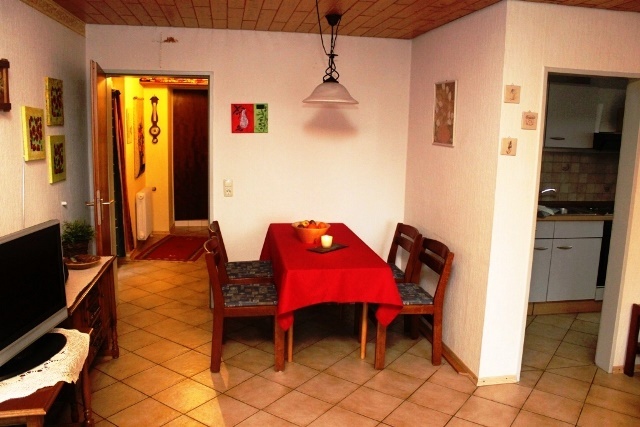 Our holiday home is the ideal starting point for extensive trekking and biking tours in the Vulkaneifel. 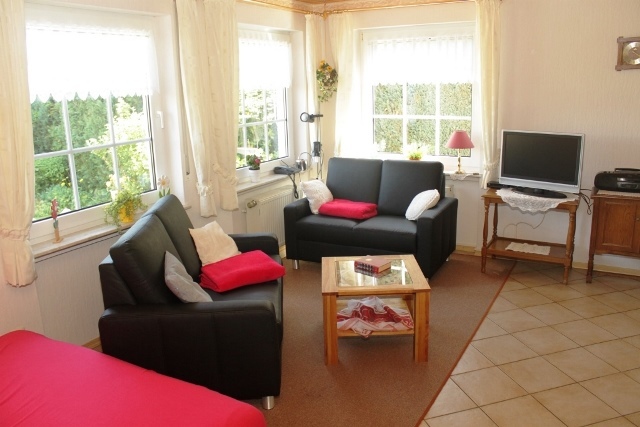 Our holiday home is distinguished with 4 stars by the Vulkaneifel Touristik Organisations criteria.